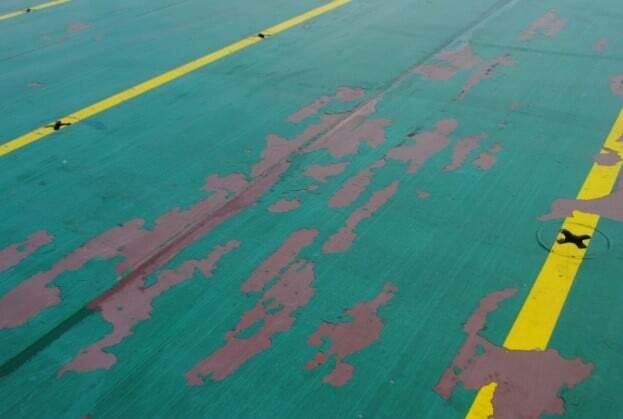 Euroship Services Ltd wished to apply Beegrip’s Bimagrip LS anti-skid surfacing to five decks of the MV Celine vessel to replace the existing paint system. 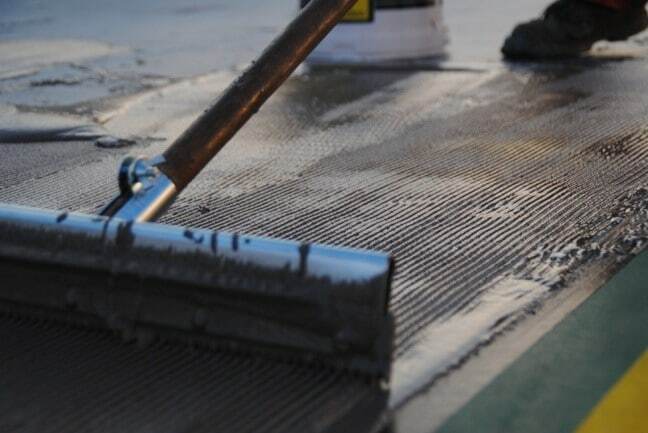 As Beegrip’s preferred UK installer, Thortech Bridges & Marine were requested to carry out 1457m2 of Bimagrip LS in Rotterdam which was completed over the course of four visits between November 2017 and February 2018. 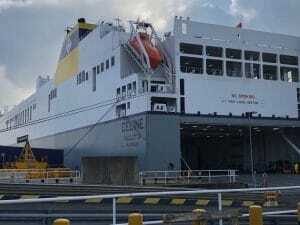 The MV Celine is the World’s largest RO-RO Freight Ferry built in 2017 and has only recently started operating in October 2017. As the vessel transports many vehicles, Euroship Services needed a robust anti-skid system to cope with the harsh amounts of traffic it will be receiving; therefore Beegrip’s Bimagrip LS Resin System was the ideal product to cope. The vessel constantly operates between three ports, Dublin, Zeebrugge and Rotterdam Port. 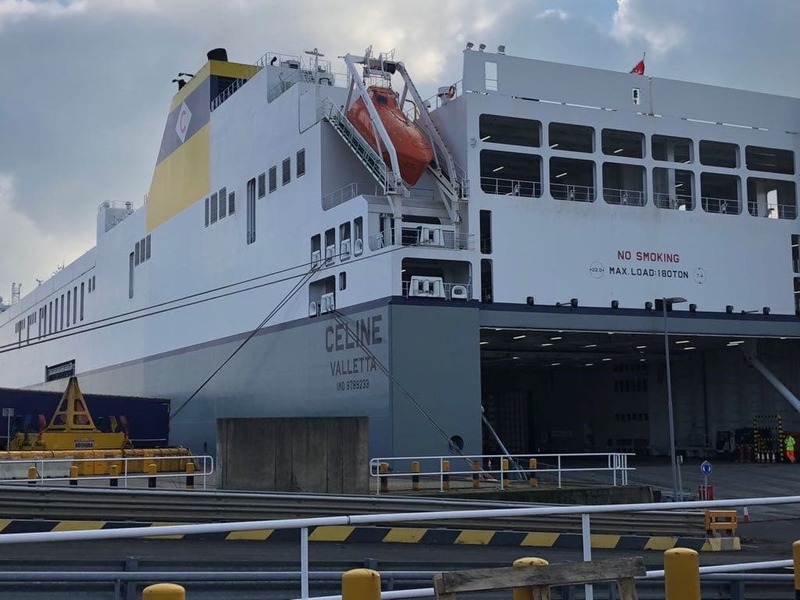 The latter of which is where Thortech Bridges & Marine were requested to carry out the works, with it being completed at the Cldn Cobelfret Terminal. To fit in with the vessels weekly schedule, 1457m2 of Bimagrip LS was completed between Sunday and Tuesday over four visits completing different areas of the decks on each visit. We also had to ensure all material was fully cured in time for loading of the vessel on Tuesday. With the MV Celine being recently built, the existing surface was the initial paintwork completed upon its build. The first stage was to ensure this paint coating had been properly removed before the Bimagrip anti-skid surfacing could be applied, therefore we started by enclosed shot blasting the surface to Swedish standard SA2.5 with grinders used for any edge work. After each area was blasted, we followed on by roller coating the deck with Acraprime @ 1litre per 10sqm and then left to fully cure. 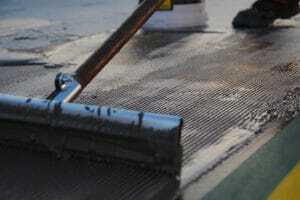 Next was the Bimagrip LS application, materials were mixed and spread out by squeegee @ 4kg/sqm over the primed areas. The final part of the application was to scatter 1-3mm Emery aggregate over the resin system fully covering and once again allow it to fully cure. Once cured, the areas were swept and all excess aggregate removed. Working around MV Celine’s schedule, Thortech Bridges & Marine successfully completed the project at the start of February 2018 despite having to work around the ships loading times. Weather also played a part when laying Deck 5 (Top Deck) and prevented us from finishing the work on the 3rd visit. We are delighted to say that the new Bimagrip surfacing is working efficiently as it continues to receive heavy traffic daily.